We will be off April 18th– April 28th for Spring Break! School reopens Monday, April 29th! Enjoy your break and have a Happy Easter!! Scholastic will be due on Wednesday, April 10th. -Please return the permission slip and funds to the Disney Nature Penguin’s movie trip if you have not! In Reading and Phonics we will learn about the letter Ww. In Religion we will continue to learn about Lent. In Math we will end learning how to show, count, and write numbers to 20 and begin to identify and describe two-dimensional shapes. In Social Studies we will learn about the history of Saint Patrick’s Day. In Science we will learn about ponds. In Reading and Phonics we will learn about the letter Mm. In Religion we will learn about Lent. In Reading and Phonics we will learn about the letter Nn. In Religion we will learn about how Jesus teaches and helps us. In Reading and Phonics we will learn about the letter Bb. In Religion we will learn that God Helps Us to Discover. 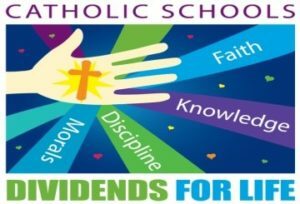 Catholic Schools Opening Mass Sunday, Jan. 27th at 11:00. All are welcome. Please come in your uniform.